Printech is the new trade fair brand created and promoted by ACIMGA, the Italian machine manufacturers’ Association in joint-venture with the International organization UBM ALLWORLD: a new event dedicated to the world of technologies for Converting, Package Printing and Labelling. 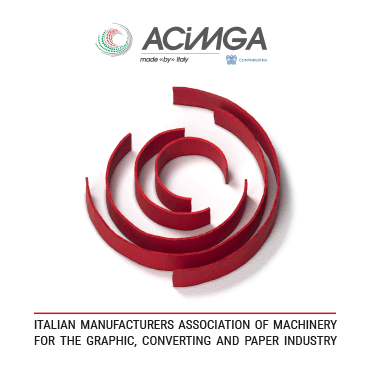 Printech is the new trade fair brand created and promoted by ACIMGA, the Italian machine manufacturers’ Association in joint-venture with the International organization ALLWORLD EXHIBITIONS: a new event dedicated to the world of technologies for Converting, Package Printing and Labelling. That’s why Printech is an exhibition that opens a privileged showcase in packaging fairs: setting up an area dedicated to converting and printing in traditional filling and dosing technologies exhibitions offers clear benefits to all packaging community stakeholders, from the supplier to the brand owner. The project is inspired by a “community approach”, printing and converting exhibitors are positioned alongside their customers and vice versa, so that it becomes easy to access contacts and exchanges, while visitors finally have a trade show offering the latest and best solutions for all the processing steps of a packaging item. A single visit to Printech and ProPak enables end users/visitors to satisfy their business needs and expand their horizons to embrace the total perspective of the entire supply chain, gaining valuable information and insights in terms of organization and strategy. ACIMGA, together with ITA -.Italian Trade Agency, organize a scouting mission at Printech Myanmar 2017, in order to discover the potencial of the market and show them to the Italian Companies. Ther will be a Country area where all the visitors should meet companies and buyers, and share knowledge and business opportunities. Find out the details HERE. The operational arm of ACIMGA, CPA SpA, has signed an agreement with the International organization Allworld Exhibitions for the creation and promotion of the new Printech trade fair brand. Strategic the aim: to create an area dedicated to the converting, package printing and labeling sectors in the series of longstanding ProPak brand packaging fairs, deeply rooted in the most promising markets of Southeast Asia. The operation starts off with Vietnam, Thailand, China, Indonesia and Myanmar. ProPak Myanmar 2016 took place for its successful 3rd edition, 24th to 26th September at Myanmar Event Park (MEP), Yangon, and once again reaffirmed its leading position as Myanmar’s largest and most international food, drink and pharmaceutical processing & packaging technology trade exhibition in Myanmar for Myanmar. ProPak Myanmar 2016 - The successful 3rdedition of Myanmar’s largest and most international food, drink and pharmaceutical processing & packaging technology trade exhibition open’s today, Thursday 22nd until Saturday 24thSeptember at Myanmar Event Park (MEP), Yangon.